How often are you spiritually still? How do you struggle with spiritual stillness? What do you anticipate from God through spiritual stillness? Receive It. Grace meets us where we are, but we don’t always meet it face-to-face. We skirt around it or walk over it because we’re too busy, or we fail to focus on it in the stillness. As we still ourselves, it seems obvious that we would experience God’s presence, but that’s only the case when we still ourselves in God’s presence. We must be intentional about the stillness of our lives. We often struggle with stillness, because we don’t seem to find the time to be still. We feel guilty because we’re not still often enough or long enough. We see the shortcomings of our stillness. Or sometimes, we’re too still. We refuse to move out of fear. We all need a slight nudge, whether it’s into stillness or out of the wrong kind of stillness. When we enter stillness in the presence of God, we experience the consistency of his presence, but our experiences will be different. Because God engages in a relationship with us, he works in our lives in a variety of ways. Sometimes we are filled with his presence and grace over a season in our lives. Stillness doesn’t equate inactivity. We can be engaged with the activities of life but find a stillness deep within, where God gives us his peace and grace to sustain and fuel us. Stillness can also be a moment, when we close our eyes to our surroundings and open our hearts to be surrounded by God and his grace. We can be still when the chaos or noise of life surrounds us, and we can be still when nothing but the sights and sounds of nature surround us. Spiritual stillness begins in our hearts and consumes our minds. But spiritual stillness is always teeming with grace. Live It. Practice being still during a noisy moment in your day. Whether the noise around you is in what you hear, what you see, or what you’re thinking, get still. Focus on God’s presence. Trust him to pour into you in the quiet place of your soul even among the noise of your surroundings. Thank him for his reliable provision despite your circumstances. Silence and stillness are not always the same thing, but they often intersect. In order to be silent, we need to be still enough to listen to God’s prompting. In order to be still, we have to quiet ourselves. As we still ourselves, it seems obvious that we would experience God’s presence, but that’s only the case when we still ourselves in God’s presence. We must be intentional about the stillness of our lives. We often struggle with stillness, because we don’t seem to find the time to be still. We feel guilty because we’re not still often enough or long enough. We see the shortcomings of our stillness. Or sometimes, we’re too still. We refuse to move out of fear. We all need a slight nudge, whether it’s into stillness or out of the wrong kind of stillness. We think stillness is passivity, and we feel the need to take action and speak up in case the moment or opportunity passes. But we need stillness in the presence of God. Our experiences will often be different. Because God engages in a relationship with us, He works in our lives in a variety of ways. We are filled with His presence and grace over seasons in our lives. Stillness doesn’t equate inactivity. We can be engaged with the activities of life but find a stillness deep within, where God gives us His peace and grace to sustain and fuel us. Stillness can also be a moment, when we close our eyes to our surroundings and open our hearts to be surrounded by God and His grace. We can be still when the chaos or noise of life surrounds us, and we can be still when nothing but the sights and sounds of nature surround us. Practice being still during a noisy moment in your day. Whether the noise around you is in what you hear, what you see, or what you’re thinking, get still. Focus on God’s presence. Trust Him to pour into you in the quiet place of your soul even among the noise of your surroundings. Thank Him for His reliable provision despite your circumstances. We can be quiet so that no one around us hears a sound from us, but our minds spin. We dwell on a conversations we had earlier in the day and have imaginary arguments with people. We go over our to do lists and schedules and wonder how it will all fit. We worry, dream, dwell, and scheme. We’re not quiet at all. But quiet is important. It’s a stillness. It’s an intentional setting aside of all the busyness and voices. It’s a retreat. God often speaks the most strongly, clearly, and loudly when we are by ourselves and quiet, when we still ourselves. No one can do it for us. It’s up to us to position ourselves well to seek, hear, and listen to Him today. Quiet alone time is important and worth the effort and sacrifice. It’s a reminder from Job 37:14: Stop and consider God’s wonders. It is both a direction and challenge for us. It takes humility and boldness, pause and involvement, the ability to identify God’s wonders and the willingness to be grateful for them. It’s a similar motivation to keeping a blessings journal. It goes beyond looking at life with a positive appreciation and delving into what God and only God can be and do. His wonders don’t always feel warm and wonderful, because we stand in awe of His power, fierceness, and justice. Those are part of His wonder, too. We can’t twist God’s wonders to be only those things that we find amazingly wonderful. He defines amazing, and He fills wonder. We particularly find it when we’re willing to empty ourselves of what we want to see as wonder. We find it when we’re willing to stop…and consider. Stop and consider. Both present challenges that we’re not willing to accept because of the sacrifices they involve. Both are worth the wonder we’ll encounter because of our sacrifice, because of who God is. 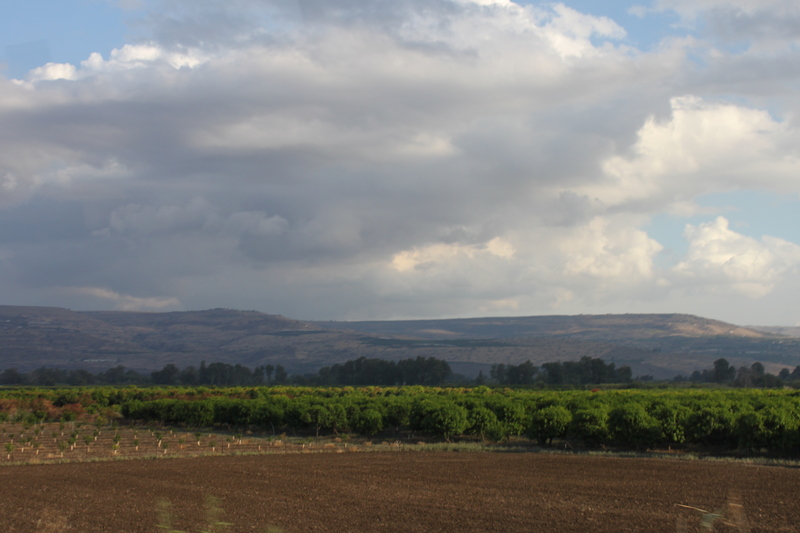 What I noticed as a change in the fields throughout Israel was a sign of obedience. During my first visit, I saw many lush fields, growing many different crops. I initially missed the beauty of the patchwork fields. Then, I realized I had the opportunity to see another kind of beauty: the beauty of obedience. Sometimes our lives look desolate and unproductive. We feel wasteful, as if we’re not taking full advantage of what’s around us. We feel idle and unproductive. But action and busyness do not equal growth. Sometimes, stillness is much more productive. Obedience doesn’t always make sense to us. We want to do things the way that seem logical to us. We rationalize we’re doing it to grow and be productive, and we even infuse God’s name into our efforts, claiming to do it all for Him. But if He didn’t tell us to do it, our effort cannot be for Him. How is He directing and instructing you right now? How well are you listening? How well are you responding? Obedience is beautiful. And, in the long run, it is productive and fruit-bearing. How do you struggle with quietness? When and where are you able to quiet yourself? What could you gain by being more quiet? We’re surrounded by noise and distractions. We can find something to consume our time and minds at any time. Being quiet isn’t a default setting. We must step away from the tendency to look for entertainment. We have to choose to be busy with quietness instead of mayhem. We know God speaks to us in all situations, but it’s often when we quiet ourselves that we most experience his presence and hear his guiding voice. 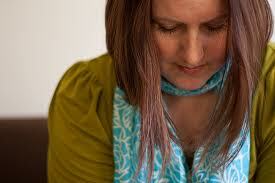 It’s in the quietness that we draw close and are reassured, convicted, and directed. We need to be still. But how? In order to be still consistently, we must develop the habit of stillness. Stillness isn’t going to crowd its way into our daily routines. We must be intentional about it. Schedule it. Ink it onto the calendar. Start small. One minute today is a great place to start. Try two tomorrow and work your way up to ten. Stay there for a week or so to develop a consistent habit. As you develop the habit, you’ll miss quiet time when you skip or postpone it. Avoid imposing too much structure onto your quiet time. Sit in silence or play soft instrumental music. As your mind begins to wonder, pull your attention back to God by committing to listen. Avoid giving up even when you get frustrated with yourself. Growth requires perseverance. Set your phone alarm for your quiet time today. Before you begin your quiet time, reset your alarm for one minute, so you can wholeheartedly remain quiet instead of checking the time regularly.